Specialist dealer with fine silver, Royal Worcester china and gold jewellery. Good large silver punchbowl, jugs, dishes, silver inkwell, sauce boats, perfumes, silver stilton scoop etc. A good selection of silver and silver plate to suit all pockets Napkin Rings, Condiments, Cutlery, Vesta cases and Snuff boxes etc. 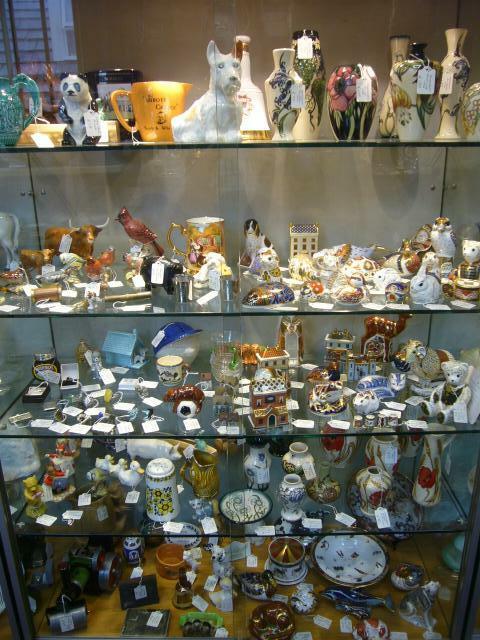 Pottery, Art Glass, Watches, Costume jewellery, Staffordshire, Royal Doulton, Silver and good General Antiques. 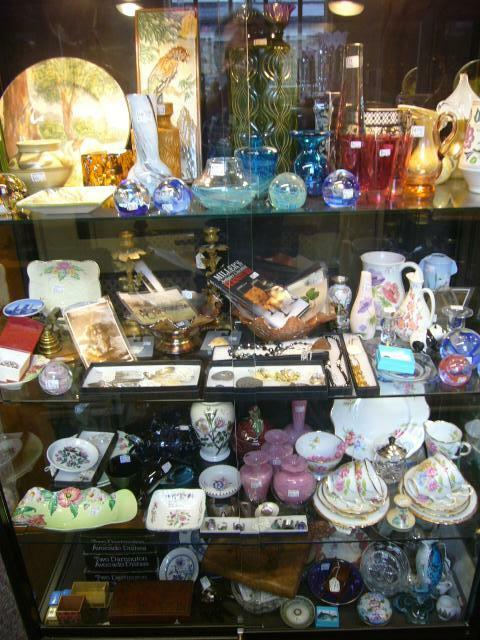 An eclectic mix jewellery, Royal Doulton, Maling, hatpins etc. Costume Jewellery, Cloisonne, glass and pottery, the 1930's a speciality. pottery etc. 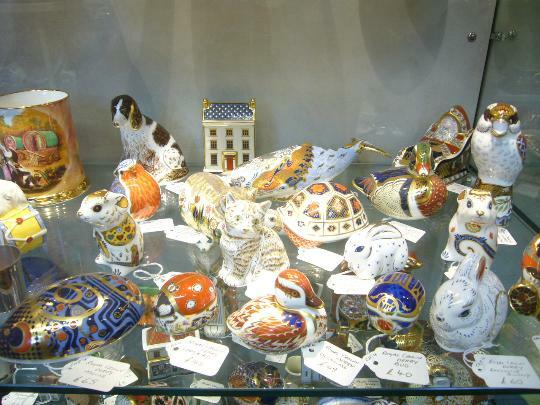 General antiques, Beswick, Royal Crown Derby, novel items. 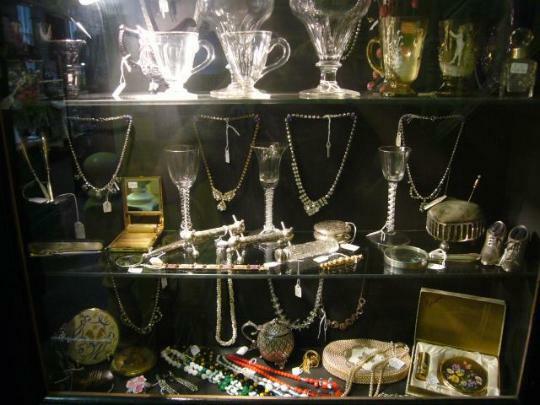 Fine antique and costume jewellery, clocks, silver items etc. Georgian glasses, compacts, silver, Jewellery etc. 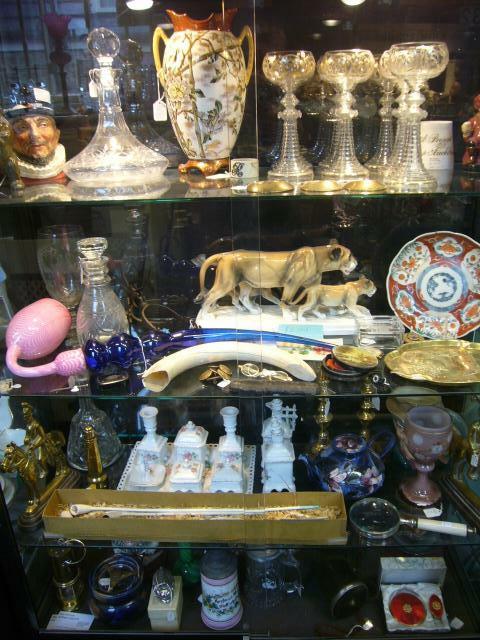 General Antiques, Hock Glasses etc.